CLICK HERE for Posts 1 – 57. CLICK HERE for Posts 57 onwards. Dark forces must be recognized and countered. How easy to be deceived. Can strong dark forces from the spiritual realm camouflage and mimic God — causing chaos and disruption in the world? An interview with Sanskrit scholar Professor Sthaneshwar Timalsina Ph.D gives answers found in numerous spiritual texts. A brief summary/overview of Sai’s “Scripture,” (found in the series-link below) reveals that Swami is a manifestation of Parabrahman – directing us to overcome the split caused by Madhu/Muddenahalli by countering with wisdom, detachment, and love. Future posts will detail the extent of the fearful reality caused by Madhu/Muddenahalli — how the miraculous transmission of the Sai Scripture happened – the painstaking effort that I, my patient Jackie, and Sanskrit scholar Timalsina took in the translation – how Swami encouraged me to share the messages with you – and the wisdom needed to overcome our split. 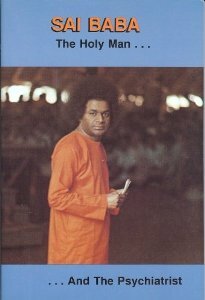 I’d like to emphasize how sacred is the Scripture – a miraculous communication from Swami to us about how to purify a wisdom that welcomes in the Sathya yuga and receives Prema Sai. If you are interested in learning about countering Madhu/MDH as a unified group — please sign up here https://bit.ly/2uxqA9X. Your comments are welcome here ssprema99@cox.net. If there is enough interest, I will develop a videoconference to share my ideas and discuss 1) how we can act with a united strong voice 2) next steps to take as a unified group. The messages say that such a unified group will be led by Swami. To see the series “Countering Madhu Muddenahalli” click here.